It seems the campaign on Buy Naija to grow Naija has been fully embraced by Nigerian Army. 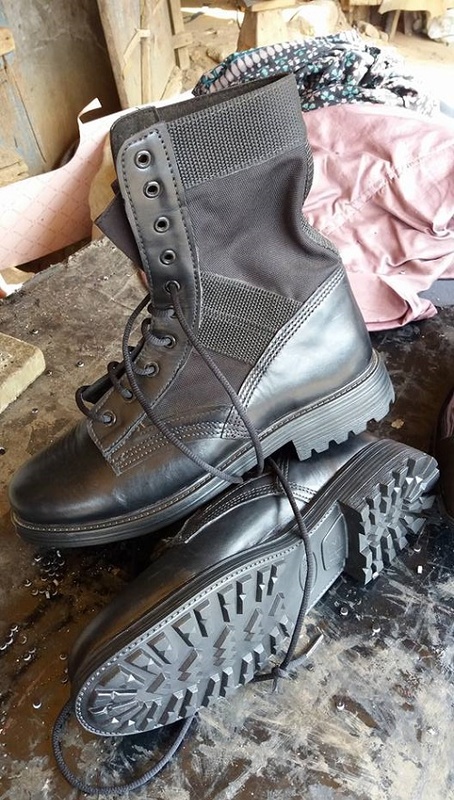 The super entrepreneurial and hardworking brothers in Aba who have continued to wow people by producing materials of all sizes and quality, has reportedly been ordered to supply 50,000 ‘Made in Aba’ boots the Army. This was revealed by the Barr. Sam Hart as he called on other agencies of government to emulate this kind gesture in developing the economy. Sam Hart wrote: “Since the advent of the Dr. Okezie Victor Ikpeazu administration, there has been a concerted effort to shine the spotlight on Aba and improve the profile of the city. “The argument for this is simple. If you get Aba right, the revenue from Aba can power the rest of the state. “It started with a single-minded determination to solve the infrastructure problem of the city and included deliberate actions and policies meant to boost the image of Aba. “Governor Ikpeazu has been the number 1 Made In Aba Ambassador. Wearing clothes with ‘Proudly Aba’ etched on the sleeves locally and internationally and displaying Aba products to all visitors to his office and the Executive Council Chambers at Government House. “The Abia State Marketing and Quality Standards Agency was also created to ensure quality. Agreements were signed with Bank of Industry for a N1B support for the MSME sector in Abia State. “An Abia MSME Centre was inaugurated headed by a SpecIal Adviser to the Governor who is an accomplished entrepreneur to support MSMEs in Abia State. “Mention must also be made of Senator Enyinnaya Abaribe who has organized regular Made In Aba Trade Fairs. The Senate President, Bukola Saraki attended one and ordered Made In Aba clothes which he has been wearing periodically. 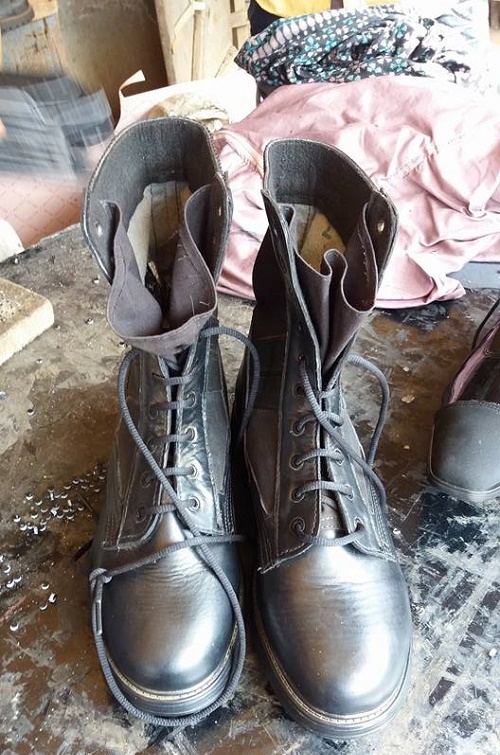 “Today, all these efforts are paying off as Aba Shoe Producers now have an order to produce 50,000 boots for the Nigerian military. Efforts are in top gear to replicate these orders for the Nigerian Customs, Immigration, Road Safety, Civil Defence, NYSC, etc. 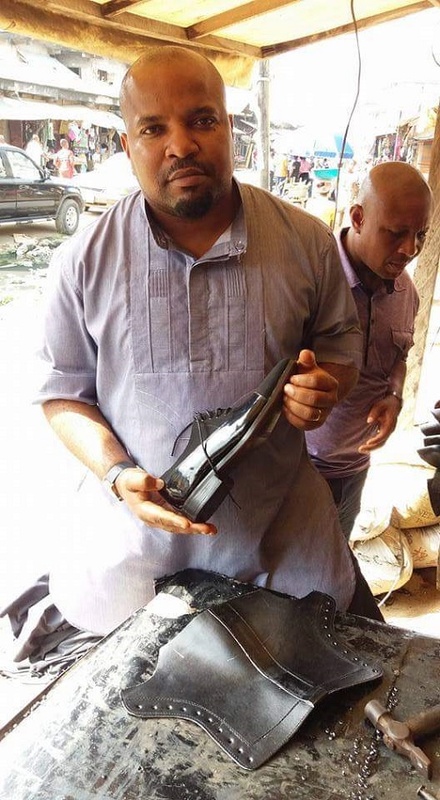 “Abians resident in the Diaspora have equally ordered 1,000 school shoes for free distribution this Christmas. “We have orders from clothing label owners in Lagos and Abuja to have Aba tailors produce their designs. “A website www.MadeInAba.com.ng has been opened to display Aba products for the world to see and place orders from wherever they are. I am proud to be working with a team at Project Made In Aba to bring these dreams to reality. “We are providing Random Inspection and Quality Enforcement Services to ensure that they deliver these orders according to agreed specifications. “Project Made In Aba is not about money. It is about finding new markets for Emeka, Okechukwu, Ngozi, Ezinne, Kelechi, etc to be able to scale their operations, employ additional people and ultimately have a better life. Betty Irabor celebrates husband Soni Irabor on his birthday, and her nickname for him is cute!